Forty-two. That’s how many wheels Wayne Patterson’s newest milk truck and trailer has. It also carries almost 115,000 pounds—or, about 13,370 gallons—of milk. And it is just one of nine milk trucks that Wayne owns. The scale of milk production and hauling has changed dramatically since Wayne’s grandfather-in-law started picking up milk cans by horse and carriage in the early 1900’s. Wayne owns Wayne Patterson and Sons, a milk hauling business based in Galesburg, MI. He took over the business from his father-in-law, Vern Hoyt, who had taken it over from his own father around 1925. Wayne’s wife, Deena hauled milk for 10 years and now his two sons work for him. To say it’s a family business might be a bit of understatement. Wayne starts his day around 2:30 a.m. That’s when he does the pre-run checks on his truck. He likes to start driving early because he can avoid traffic and enjoy the peace and quiet on the roads. The increase in efficient milk production brings its own challenges. Many farms milk their cows three times a day, which doesn’t leave a lot of time for the milk hauler to load the milk before the storage tanks on the farm need to be cleaned and the next milking begins. 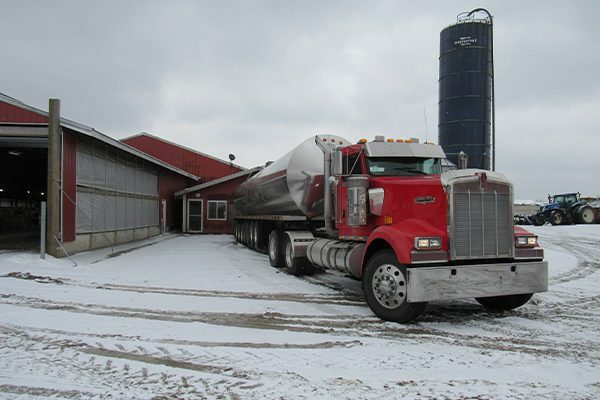 Wayne’s drivers have about 30-60 minutes to unload the milk tanks on the farm, which doesn’t leave much leeway for pick up schedules to change. Before pumping the milk into the milk truck, the drivers agitate the milk, then get a sample from the tank and test it for antibiotics. A positive test means they will not take the milk, it has to be discarded and cannot leave the farm. The driver records the testing results, weight and temperature of the milk at each farm. 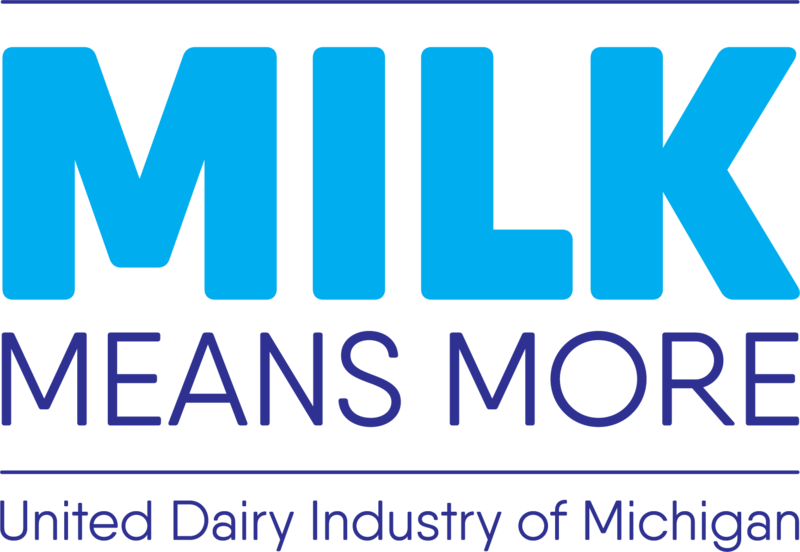 Like many businesses, milk hauling is becoming paperless by moving to iPads or other technology to record this data. 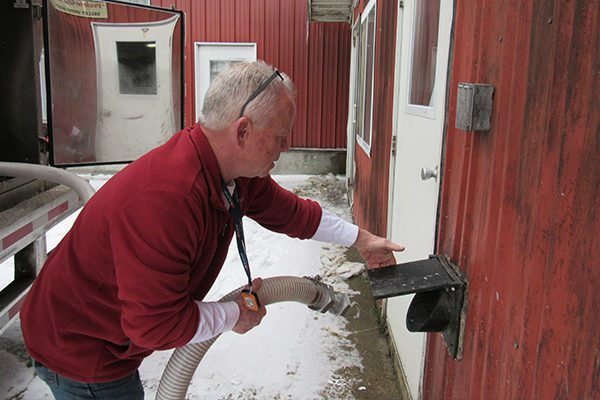 When the milk haulers deliver the milk to Prairie Farms, staff from the processor test the milk again for antibiotics, temperature and other measures of milk quality. Any positive results for antibiotics means the milk is rejected because it cannot be sold to the public. 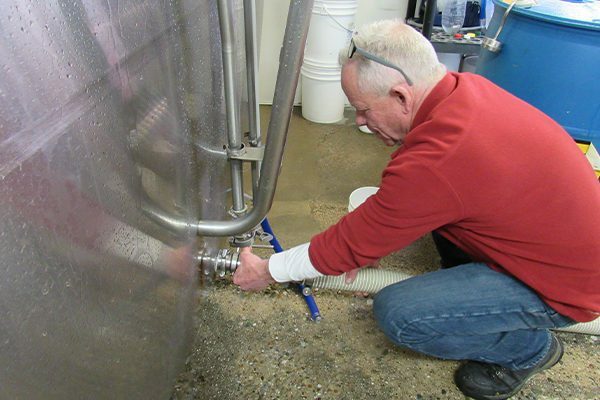 After the milk is unloaded, the processing staff clean out and sanitize the milk tanks. Wayne’s drivers are responsible for keeping the outside of the milk tanks clean. One of the biggest challenges to milk haulers is traffic. Wayne has seen a lot of haulers go out of business because of traffic accidents that damaged trucks, or even led to lawsuits. His advice to his drivers is to just slow down. With the cost of a new milk hauling trailer around $185,000, replacing a totaled vehicle can’t be taken lightly. His favorite part of the job is his relationships with the dairy farm families he serves. He learned the value of a good reputation from his father-in-law who taught him to leave things on the farm as good as, or better, than he found them. 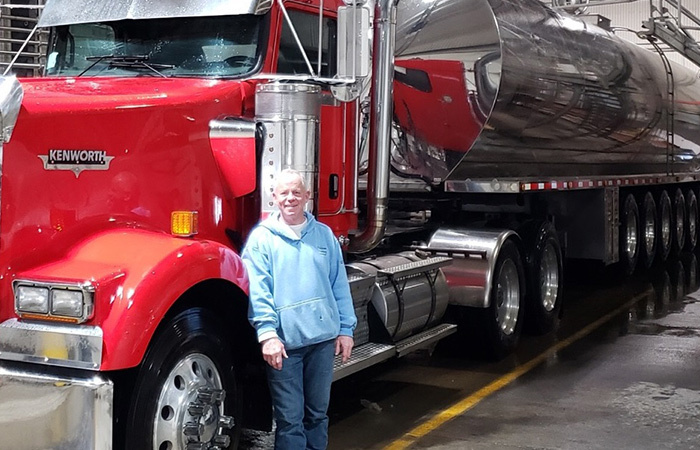 For anyone who is interested in hauling milk, Wayne’s advice is to be dependable and willing to work. Hauling milk is a 365-day-a-year job. Milking cows doesn’t stop for holidays and neither does hauling it. Milk truck drivers play an important role in getting the milk from the farm to the plant so we can all enjoy it! 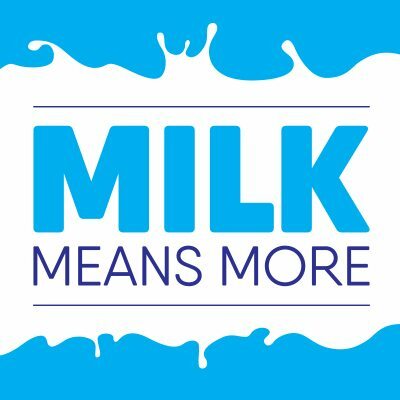 Want to learn more about the Journey of Milk? Click here to see more steps along the journey from farm to store to table.